Once again, One Shoe is placed in the Emerce top 100 of best Dutch e-businesses! One Shoe received a five star ranking in the category of full service medium-sized digital agencies. The Emerce ranking shows how voters, working in the field of online marketing, ICT and e-business, measure the quality of services of the agencies in the e-business and marketing industry over the past year. 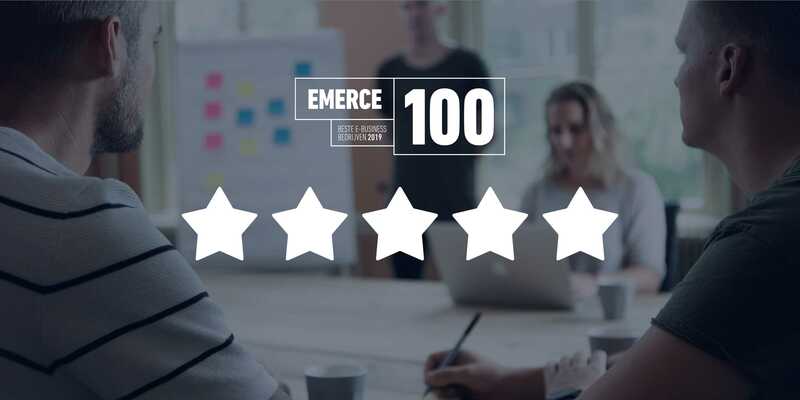 The five star ranking in the Emerce100 continues to show that the work One Shoe creates together with the clients has meaningful and positive impact. We’re very proud of this recognition for our work! The Emerce top 100 is an initiative of Emerce in collaboration with research agency Motivacation and every year they publish the top list of agencies working in the e-Business.